Introducing the Jack ottoman bed, a modern take on ottomans that's perfect for the compact, contemporary home. Spacious, highly detailed and beautifully upholstered by hand, the Jack is one of those pieces that effortlessly change the look and feel of a room. 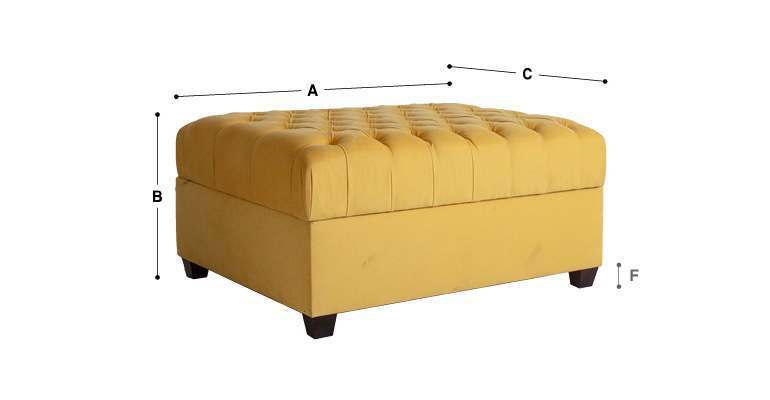 At first sight, you would think this is simply another storage ottoman, but take a closer look and open its delicately diamond-tufted top to reveal the sprung mattress that lies within. Simply dressed with crisp, natural bedlinen and a soft throw, the Jack has nothing to envy the comfiest of beds.